Ten photos illustrating ten initiatives by LVMH to protect the environment. After the Belvedere distillery, we head to the Western coast of France, where Guerlain is actively engaged in protecting a species with symbolic resonance for the perfume house: the bee. Guerlain’s symbol, the bee is today a threatened species. This is why the House readily became a sponsor of the sustainable development program led by the Ouessant Black Bee Conservatory (ACANB). Thanks to funding from Guerlain, the association has been able to recruit a salaried beekeeper to care for the conservatory’s 150 hives. Guerlain also helps promote the association’s work and increase the communications impact. 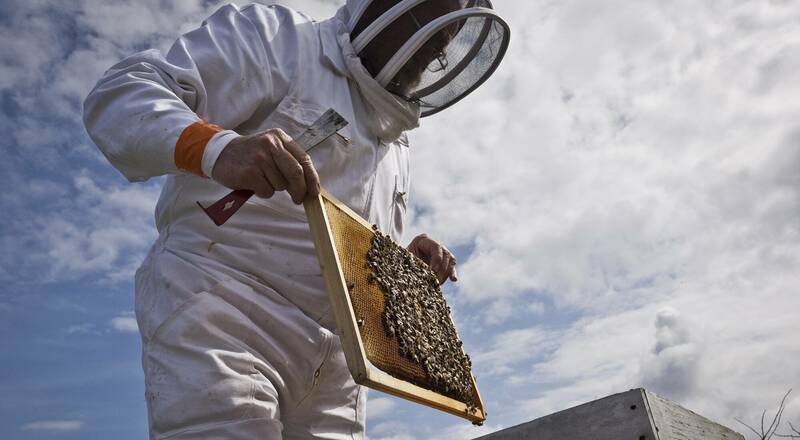 Plus, Guerlain legal teams have joined the fight to ensure better protection of the unique “Black Breton Bee”. Guerlain’s engagement with Ouessant earned it a special prize from the French Ministry for the Environment, Sustainable Development and Energy at the 2013 Sustainable Development Sponsorship awards last spring. This series of photos, shot by photographers from the VU agency, is part of a special collector’s edition published to celebrate 20 years of steadfast commitment to environmental responsibility by the LVMH Group. The next article will look at Sephora’s use of electric trucks for deliveries.